DORIAN Pena has undergone inquest proceedings at the Department of Justice after being arrested with two others in a drug buy-bust operation on Thursday in Mandaluyong City, a television news report bared. A GMA News report said the 39-year-old ex-PBA cager was charged by the National Bureau of Investigation for violation of Section 7 (a visitor of a drug den) and Section 15 (use of dangerous drugs) of the Comprehensive Dangerous Drugs Act (Republic Act 9165). The buy-bust operation was conducted in an alleged drug den in Merryland Village in Mandaluyong, where Pena along with two others, named in the report as Ledy Mea Vilchez and Jose Paolo Ampeso, were arrested. Vichez and Ampeso also faced charges in violation of the RA 9165’s sections 5, 6, 11, 12, 15 and 26, the report added. The NBI also reported that all three suspects tested positive for drug use and authorities found two plastic sachets containing shabu and other drug paraphernalia. Pena, waived by GlobalPort before the start of the PBA season, won four championships in his stints with San Miguel. 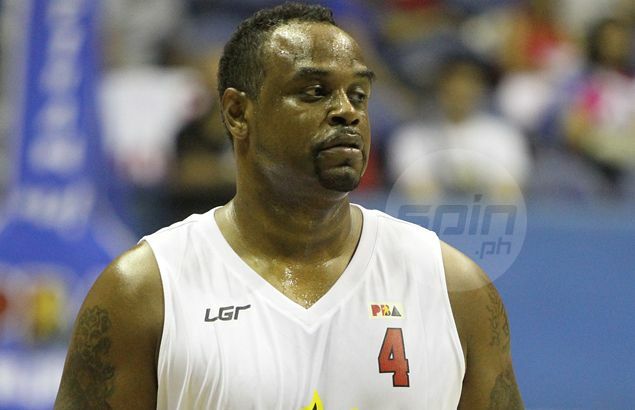 He also played for Ginebra and Barako Bull before his last stint with the Batang Pier. Pena, who started out in the defunct MBA before playing 15 seasons in the PBA, also made it to the Mythical First Team twice and the Second Team once.